This line appears during a series of true/false questions at a door in a fortress that belongs to Francis, a huge nerd. So I was curious to know how all these nerdy questions were handled in translation and whether or not the original Japanese text said the same stuff. When in doubt, buy it. Video games and hot babes are totally hi-technicaaaaal! If it’s limited edition, buy it. If it’s limited edition, buy it! I have over three games that I bought but still haven’t played. I have bought games that I have never played. I’d rather buy something and regret it than regret not buying it at all. If it’s got fierce giant robot on giant robot combat, it’s an instant buy! I’m a grown-up, so I can spend my money collecting whatever I want. They’re NOT DOLLS. They’re ACTION FIGURES. WITH REAL FIRE-PUNCHING ACTION. Completing a collection is a meaningful accomplishment. I have dumped a friend over an argument about ‘Starship X-Naut’ propulsion technology. A novel’s story isn’t as important as its cover and artwork. A schweet cover illustration is way more important than the story line. When buying a book, you take not the one on top, but the one that is two books below. Never pull the top copy from a pile of comics! Find the mint-condition one! My first love was an anime character. My first love was an anime character! Food fills the stomach. Figures fill the heart. I love going on message boards and complaining about games I’ve never played! Cool! It looks like about half of them remained intact, while the other half was changed around. I definitely gotta say, the changed lines are pretty funny! Nice work, whoever was involved! If you enjoyed this article and know anyone else who likes Paper Mario or Super Mario Bros., it'd mean a lot if you shared it with them. Sharing articles is super-helpful and keeps Legends of Localization running! >> I remember it not being as amazing as The Thousand Year Door, but it had a TON of charm and interesting set pieces from what I recall. I figured those lines were changed around a lot. You’re missing out by only playing the first bit though. Chapters 7 and 8 are when the game really kicks it into high gear with the story and music. This is definitely a great game! I wonder if digibutter.nerr is in the Japanese version? Probably not, but you never know. Super Paper Mario is the most trollish game on the Wii. Wait. You actually answer these questions with イエス (Yes) and ノー (No)? Does anyone know if there is a particular reason for that? In most Japanese games I’ve seen, Yes/No options are はい and いいえ, but I have seen イエス and ノー before. I think I was playing Kaeru no Tame ni Kane wa Naru and saw it there. It’s funny because　イエス also means “Jesus”. I don’t know if there’s any particular reason except for just a stylish choice. If I recall correctly, a lot of the text in this area is in all-katakana since there’s a computer theme, this might just be a part of that style/vibe. That’s odd, the translators actually changed the questions to make this character more creepy? Generally, they tend to tone the creepiness aspect down a notch in translations, but in this case, they intentionally turned this nerd frog into some sort of perverted creep. Reading it, I wonder if part of the reason was because collecting figurines isn’t as common in America, especially as a stereotypical geek hobby? They seem to have replaced a lot of the lines referring to that with other geek signifiers, and perhaps they emphasized the ones that remained because they were worried some players might not know what it’s talking about otherwise. It only seems that way from a point of view, knowing more about Otaku it’s pretty obvious the Japanese version is imply he “waifus” anime characters and buys their figurines and the other questions imply he has an unhealthy obsession with collecting for the sake of collecting, the English version just makes it really obvious. Sorry, I reread the list and the one thing that stood out to me as a change is actually the same across versions. This guy’s a creep in both languages. Erik Peterson, one of the writers from Nintendo Treehouse, stated that the message boards joke came from Intelligent Systems. It doesn’t appear to be in the original text here. Is it elsewhere in the game? I haven’t played the Japanese version so I can’t say for sure, but some online searches don’t seem to turn up anything that fits the bill. Maybe the Japanese line was changed at the last minute to the one about figures, and the translation wasn’t updated? I’ll go total fanboy on you for a minute: Do TTYD someday. Pleeeeeeeeeeeeaaaassssssssseeeeeeeee. I just want to know why Francis keeps saying things are “hi-technicaaaaal!”. What word or phrase are they translating? It has to be more than just “kakkoii” or something. Honestly, I don’t know. It didn’t really seem to have an equivalent in the original text, and I don’t know of anyone who talks like that in real life. Maybe it was just an invention of the localization staff and/or from the localization staff’s own personal experiences. Am I the only one who’s noticed that the answer to ALL the questions is “true”? Does anyone else hate that line? Personally I found it insulting, because I *was* complaining about the game before I played it; and then when I played it, I didn’t like the game at all. Lucahjin has recently finished an LP of this. As usual, she is as funny and raunchy as ever. Be warned; but if you don’t want to play the game yourself, this is a good fallback. I’m surprised that that used the katakana yes/no as opposed to maru/batsu in the JP version. Hmm, yeah, I think I’d agree. 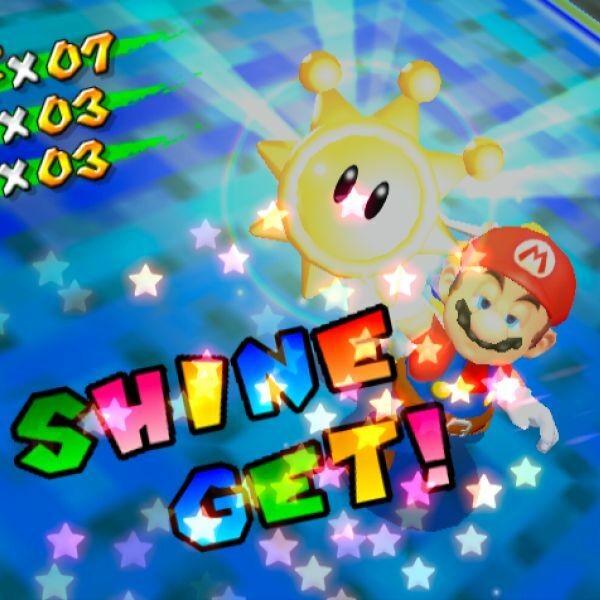 One thing I miss when playing SPM is the talking partners that the first Paper Mario and TTYD have. You can get the same sort of thing from switching between the four heroes, but there aren’t as many. I have bought games that I still haven’t played either.